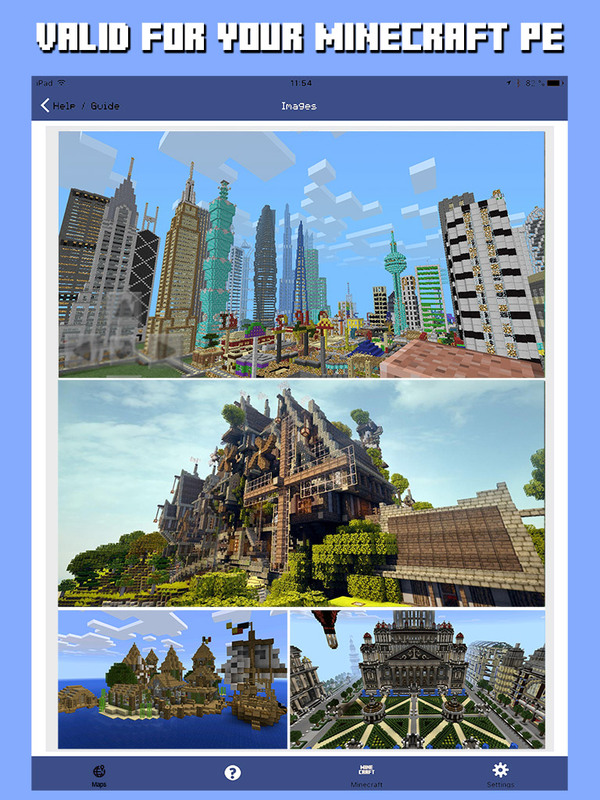 Install Maps for your Minecraft PE – Free on your Android device is now easier. All maps of Minecraft PE (Minecraft Pocket Edition Maps) for all versions of Android, it will help you to change a world in the game. Every day we update the maps. Too easy! 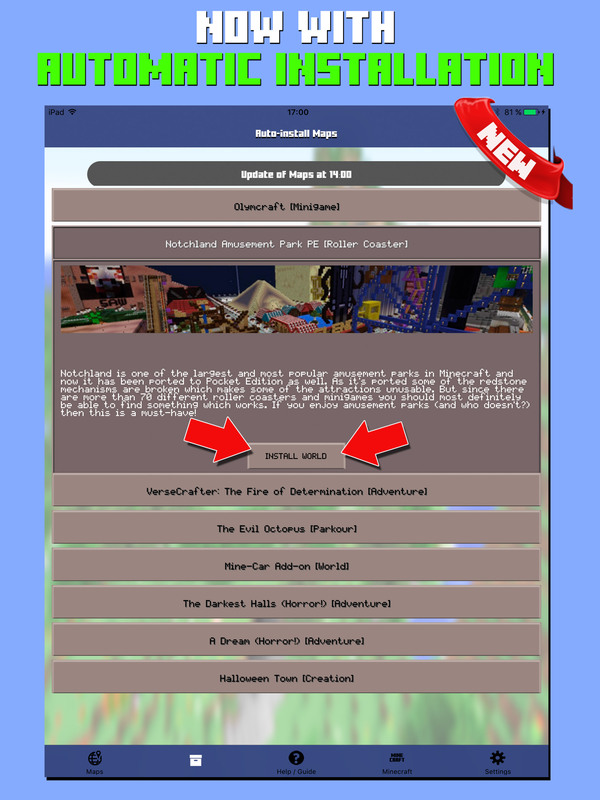 Download and install MCPE Maps with a single click. Very simple. Just select the map you want, press the “Download” button => “Install” and press “Start Game” and enjoy. ► CHARACTERISTICS: Faster download, easy to install with a single click. – Many categories to choose from. – Many types of famous maps. 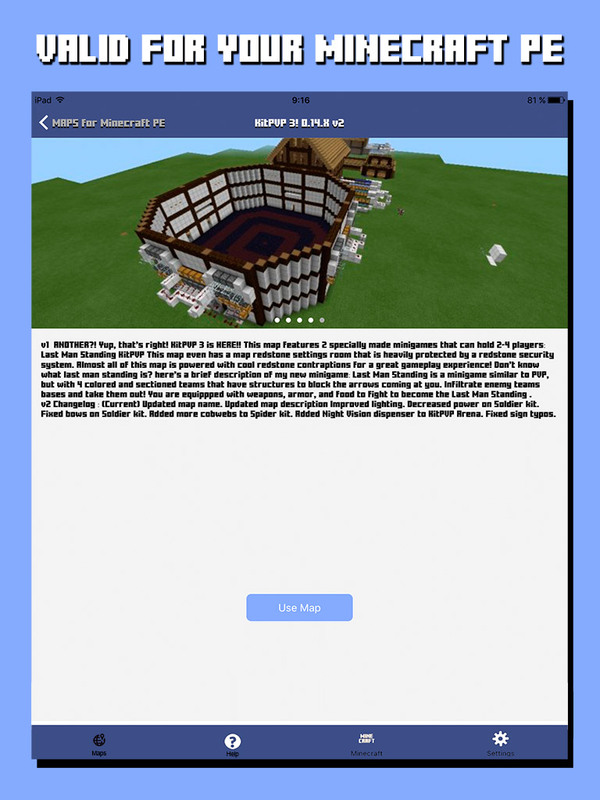 – Each map has a title, description and screenshot so you know what to expect before installing them. – Updated daily with hundreds of new maps. ► ATTENTION: This application uses internet, so please note the use of data!